Football NSW was saddened to hear the news of the unfortunate passing of one of the state’s most adored club administrators, APIA Leichhardt Tigers own superstar, Emanuele Ziino. For Mannie, APIA Leichhardt Tigers was more than just a team, it was his life. Ziino started supporting the club as a five-year-old, travelling to Lambert Park as a youngster with his family. The following 47 years, the staunch APIA supporter was also a fan, player and official, such was his dedication to his adored club. Football NSW had conducted an interview with Mannie two years ago and it was clear to see how much he loved his club. “My first involvement with the club was as a supporter and I just haven’t looked back,” he said. “Even till today I am the team manager for first grade, I help with the juniors and I also look after the tour to Italy every year being the Viareggio Tournament. “I can remember as a kid going to games at Lambert Park which was a full house, a heap of Socceroos played on the ground in the 70’s and 80’s. “One game I remember clearly was when we played against Olympic and we were down 1-0 with 15 minutes to go. We turned it around to win 2-1 and the 8,000 capacity crowd went absolutely nuts. The 53-year-old spent seven days per week at the club and also played for the Tigers over-35s and 45s team in the Canterbury District Soccer Football Association as a goalkeeper. Mannie was well and truly an Institute for not just the APIA Leichhardt Tigers FC club but for football in general. His presence, charisma and personality will be sorely missed around the football grounds in NSW.  Football NSW would like to pass on its deepest condolences to the Ziino family. Sydney United 58 have moved swiftly in re-signing and recruiting its players for the 2019 National Premier Leagues NSW Men’s season with Reds head coach Miro Vlastelica at the helm once more. The former NSL giants were dealt a blow losing mercurial playmaker Panny Nikas to rivals Rockdale City Suns but have picked up promising former Marconi Stallions youngster Judah Cleur as well as former Wollongong Wolves sharpshooter Peter Simonoski. The club will also unveil former U17 and U20’s Uruguayan international Sebastian Gallegos as one of its main players for the new season. The 26-year-old comes with a lot of pedigree having played for Uruguayan giants Penarol as well as clubs in Italy, Spain, Romania, Peru and Chile. His rise to fame was when he scored five goals in five matches for the 17 Uruguayan squad at the 2009 FIFA Under 17 World Cup held in Nigeria where he shared the Golden Boot with three other players. Gallegos spent the last half of the season plying his trade with National Premier Leagues 3 NSW Men’s outfit Hawkesbury City before making the move to United 58 for next year. Sydney United Sports Centre will once again see the likes of players such as Glen Trifiro, Patrick Antelmi, Matthew Sim, Yianni Perkatis, Yianni Fragogiannis, Christian Gonzalez, Tariq Maia, Jordan Roberts, Sam Perre, Adrian Vlastelica as well as goalkeeper Tom Manos. Club captain Nick Stavroulakis will once again don the Sydney United 58 jersey with the 33-year-old set for his fifth season with the club. The new year will see the midfielder look towards assisting coach Miro Vlastelica as well as assistant Jerry Bilokapic. The club has also hired former Socceroos Strength and Conditioning coach Craig Duncan to the backroom staff. The club will commence preseason training in December.